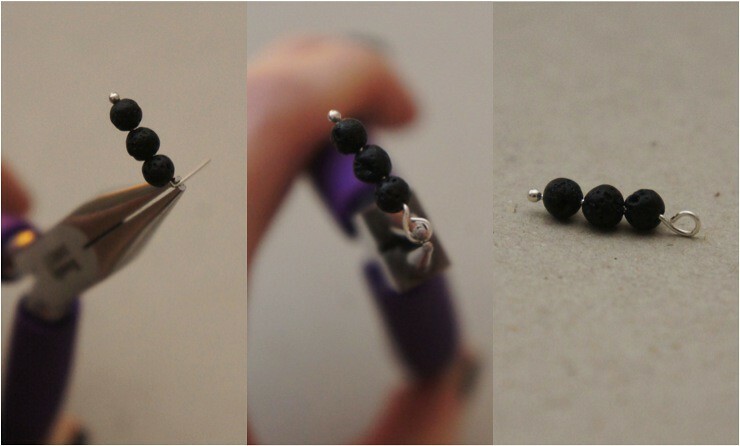 Lava bead charms are easy to make and can be added to existing pieces of jewellery or findings to create your own wearable essential oil diffuser. As the surface of the beads is porous they can absorb the oils and hold the scent for a couple of days. 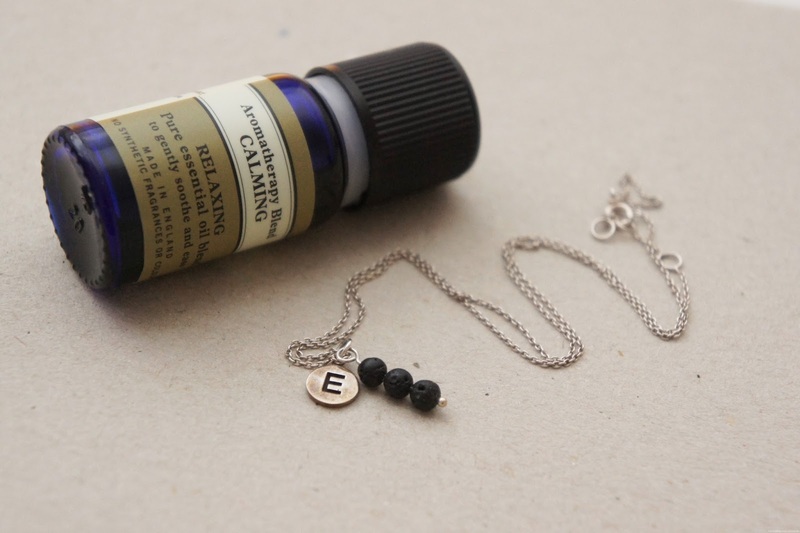 To use, you simply add a drop of your favourite essential oil blend onto the beads. One of my favourite oils to use is the Neal's Yard 'Calming' aromatherapy blend which contains a selection of oils including bergamot, mandarin orange and lavender. 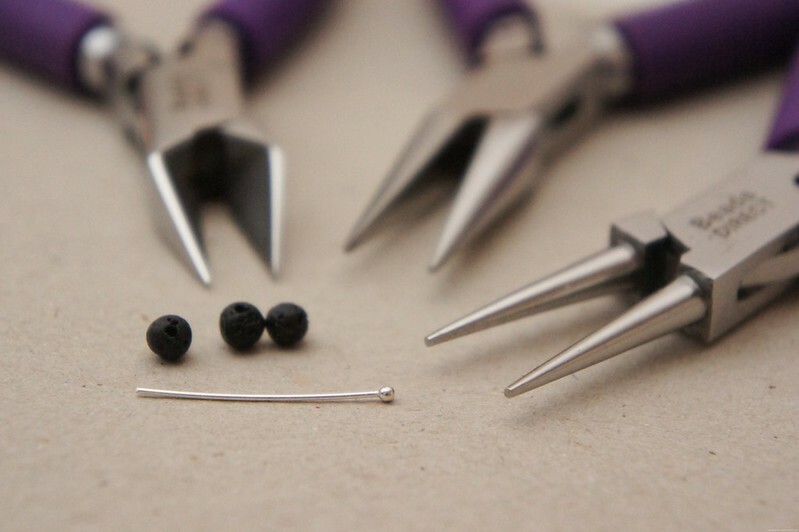 Use round-nose pliers to bend the remaining wire out at a right angle, then use wire cutters to trim off any excess if necessary, leaving around 1cm of wire to create a hanging loop. Now you have your finished charm you can attach it to any piece of jewellery you wish. 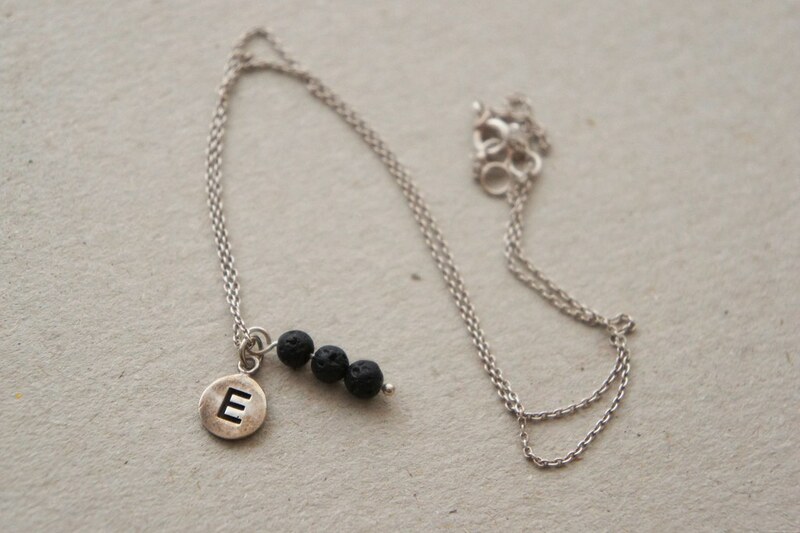 I've added mine to a simple sterling silver initial necklace I purchased from Accessorize. You can then add a drop of your favourite essential oil blend* onto the charm and top up as needed (the scent should last around 2-3 days). It is important to note that essential oils must be used safely - websites such as wellnessmama.com and tisserand.com have further information on this. *A great tip is to mix your essential oil/s with a carrier oil first to dilute them slightly and avoid irritating the skin. If you try out this project I'd love to hear from you - leave a comment below or share your photos with me on Instagram (@sawyerandscout).